Already an international sensation, with his books translated into fifteen languages—in the UK alone, Panic has more than 400,000 copies in print—Jeff Abbott is a master of the action-packed thriller. Now, with Collision, he delivers a meaty, twisty, white-knuckle ride designed to propel him onto the bestseller lists in his home country. 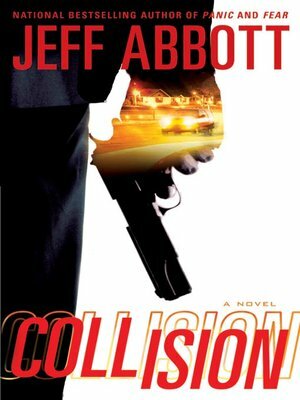 Collision is the story of two men living very different lives—one, a successful corporate consultant who is mourning the murder of his new bride; the other, a former CIA agent known only as "Pilgrim," whose current assignment for a fringe espionage agency is so treacherous he doesn't trust even his own boss. When they are thrown together in a violent, unexpected event, the two men realize that they've been framed in an elaborate setup. Unsure who to trust and who may just be trying to draw them into the open, the unlikely partners have no choice but to work together. But with everything at stake, Ben has no idea that Pilgrim is harboring some shocking secrets of his own—secrets that will soon force Ben to confront just how blurred the line has become between best friends and bitter enemies.